There you have it, people. The “Open Society” is at stake. George Soros must be laughing like a hex. He’s got all our pollies by the short & curlies. I visited Christchurch, New Zealand last year and met with ordinary Muslim shopkeepers, waiters, and students. While there, I also visited the home of Karl Popper, the Austrian Jewish author who fled Hitler and, in Christchurch, wrote his liberal masterpiece The Open Society and Its Enemies. Popper praised New Zealand, but more importantly saluted the laws, languages, and liberties of a nation that stood tall against Nazism. We now face a new threat to our open societies. Yesterday’s purely evil terrorist attack in which at least 49 innocent worshippers were killed at their mosques was the latest horror perpetrated by far-Right racists. Islamic state terrorists and far-right extremists are two sides of the same coin. No. They are not. The “far-right extremists” don’t have a dirty book that tells them to murder everyone who doesn’t believe what they believe. And they don’t number 1.5 billion. The suspect, a white man in his late 20s, took two years to plan the killings, but laid out in his “manifesto” the six years of reading, travelling, thinking and conversing with other racists that led to his decision to kill Muslims. The manifesto reads like a new version of Mein Kampf. Nazism is alive in our midst and we must be vigilant against it. The threat our societies face is so great because it is a twin danger: a deadly combination of far-Right fascism and Islamist extremism. They feed and need each other. This is not about any particular organisation, an al-Qaeda or an IS, or a Combat 18 or a Ku Klux Klan. These groups are only tactics for a much larger strategy. Behind these organisations is a narrative, a world view, a vision of the future and a deadly commitment to pursuing their ideologies. With their global movements, they radicalise each other. And we won’t defeat either of them without understanding this. The 28-year-old grew up in NSW, and his former boss has given some insight into his earlier years. First, they both seek revenge for crimes against “our people”. The lead bomber for the July 7 2005 terrorist attacks, Mohamed Siddique Khan, proclaimed in a Yorkshire accent, addressing Brits at the height of the Iraq war, that “until you stop the bombing, gassing, imprisonment and torture of my people, we will not stop this fight”. Osama bin Laden claimed to avenge Palestine. The killer in New Zealand gave explicit reasons for his attack: “To take revenge for the thousands of European lives lost to terror attacks throughout European lands.” And this revenge is not devoid of a wider strategy. Second, through their revenge based on racial and religious identities, they reinforce supremacism and separatism for a much greater purpose. IS released a 10-page document in 2015, which praised the September 11 terrorist attacks and the surge in terrorism in France that year, and said that “the time had come for another event to bring division to the world and destroy the grey zone”. The “grey zone” is pluralism of peoples and peace. Similarly, the terrorist in New Zealand was direct in his reason for violence: “To agitate the political enemies of my people into action, to cause them to overextend their own hand and experience the eventual and inevitable backlash as a result.” They both seek to end the harmony of humanity. Third, they both abuse history by connecting their present crimes to an imagined past. Islamist extremists seek a religiously pure caliphate: white supremacists call for a racially pure continent. They both recall the crusades. “What would Pope Urban II do?” asked the mosque murderer. The killer had got blessings from the “Knights Templars”, he claimed. But they ignore today’s realities: Pope Francis visited the UAE last month, held an open-air mass for the first time in history in Arabia, and signed a treaty of peace and co-existence with Islam’s Sunni leaders. Fourth, they both hate the modern West. Al-Qaeda railed against capitalism and targeted the World Trade Centre in 1993 before succeeding in its evil in 2001. Islamist extremists from Syed Qutb onwards have attacked our individual freedoms. The Ariana Grande concert attack in Manchester in 2017 was an attack on the liberty of the individual to choose his or her own form of entertainment. 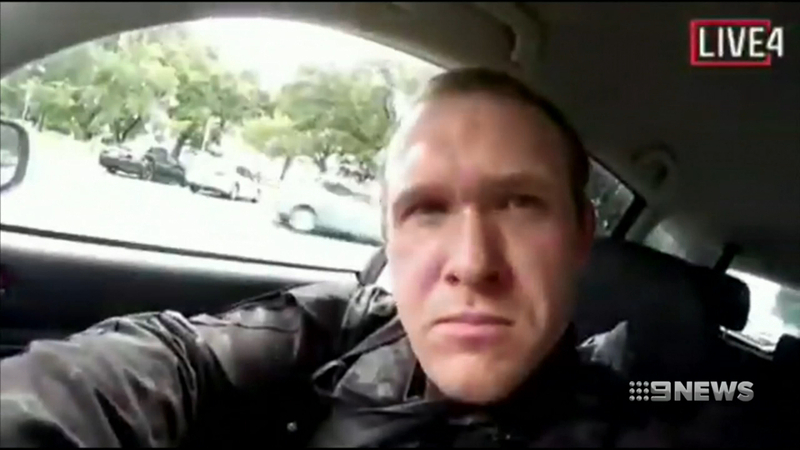 The killer in New Zealand explained his aim to “eventually destroy the current nihilistic, hedonistic, individualistic insanity that has taken control of Western thought”. Our twin enemies are not madmen. They are driven by a purpose bigger than themselves and ideas that we must not underestimate. They have support bases online and in an underworld that may not be readily apparent to our eyes. But for the security of our families, our countries and our civilisations, we must renew our pledge to the prosperity and freedoms that underpin modern civilisation. Millions died in two world wars to bequeath open societies to us. We owe it to them and the as yet unborn to uphold our values of secular government, private religion, individual liberty, strong nation states, and racial and gender equality in the eyes of the law of the land. Newcomers embrace these values and become proud citizens. Neither Islamists nor white supremacists can change us.